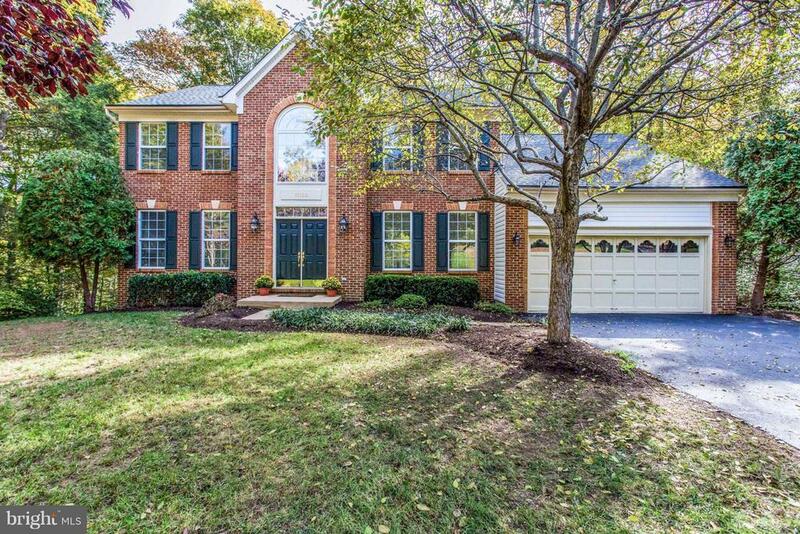 Enjoy the Spring Lake Estates lifestyle in this fabulous freshly painted 4 BR, 3.5 BA brick front Colonial. Over $114, 000 in upgrades! Residents have the option of joining the neighboring HOA to take advantage of the boat launch access to the Occoquan River! This 4166 finished square foot beauty sits on over an acre of land. Youll love the privacy of the expansive multi-level deck surrounded by trees and view of two private community fishing ponds. The gourmet kitchen includes newer stainless steel appliances, Granite countertops with convenient island, tile backsplash, 12x12 ceramic tile, and upgraded cabinets. The adjacent family room has a cozy gas fireplace. The generous Master Suite includes a cavernous walk in closet, sitting room, electric FP and newer spa-like bath! The finished walk out basement includes a full bath, custom built bar, wine rack, and media room! New roof, new 50 gallon hot water heater and so much more! County Tax Assessors office has correct finished square footage (4166), although not yet reflected online. ***The following additional items convey: 60" Smart TV, Blu-ray and surround sound stereo system that is in the media room, Second electric fireplace in the lower level.